I didn't brew this past weekend. 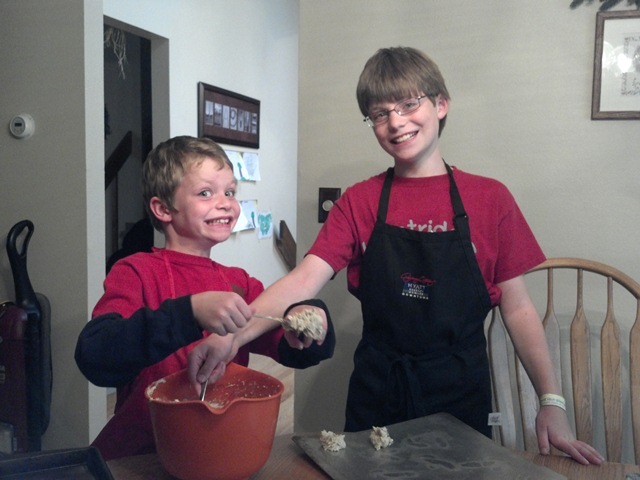 Last week I thought I would like to, but as you may have heard, there was something going on in Denver that kept me pretty busy. There were some SheppyBrew related activities, though. Last week, I decided that my Boo Berry American Wheat did not taste enough like blueberry, so I purchased some blueberry flavoring from my local home brew shop. Sunday, I popped open the keg and added in a small amount of the flavoring. The beer is now tasting like blueberry. I think it is the right amount of blueberry. Now, I still have most of the little bottle of blueberry flavoring I need to figure out what to do with. I still have some apricot I need to do something with also. Of course the best GABF session is the Saturday afternoon members-only session. At least that is my opinion. There are less people so it is less crowded and the lines are not as long. Plus there are less drunk idiots wandering around. The line to get in was much longer Saturday, though. Friday night I told you we had our taster glasses by 5:45 (15 minutes to get in). Saturday afternoon it was more like 12:22 (22 minutes to get in). This was the farthest back I have ever had to start in line to get into this event. 22 minutes still is amazing considering the line went all the way around the convention center and then some. The first thing we did was have lunch inside the hall. Old Chicago pizzas were ok.
One of the pleasant things about this time of year is all the photos of Oktoberfest women circulating the internet. Lots of these pictures really accentuate the chest-area of the photograph subjects. Based on the number of these pictures circulating, an overwhelmingly large percentage of German-beer-drinking-women are young, attractive, and have ample bosoms. Don't believe me? Check out the photos of the Oktoberfest facebook page. I did not look at every picture, but I sure didn't see any old, overweight, or small-chested women. I'm sure the Oktoberfest style of dress helps, but still. If you follow this blog, you may remember that I am lucky enough to have tickets to 3 out of the 4 Great American Beer Festival sessions. 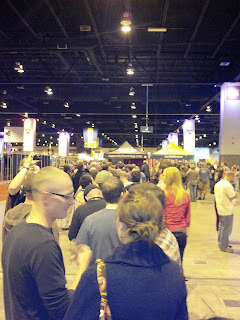 Last year, I posted my Thursday night #GABF plan. I found that pretty much Thursday was the only night I actually was able to follow any sort of plan, and so I am doing it again this year. This is obviously more for my benefit than for yours. I figure it is ok since I am probably the biggest fan that this blog has. I looked at the October 2012 topic, Novelty Beers: A shout-out for October’s The Session, and decided I would participate. Why not? With the onslaught of even weirder beers than before, I can’t help but wonder if novelty beers are going too far. Or maybe not far enough? LOL! As a merchant of beer, I can see the place for novelty beers, as I am choosing for some customers who say, “I want the strangest beer you have”. We’ve even seen some novelty beers in our top-sellers. 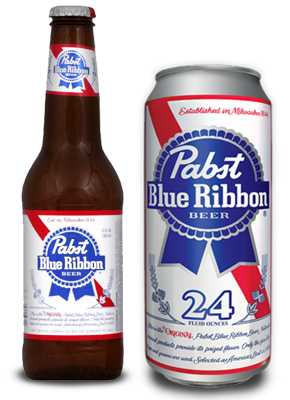 But beer traditionalists sometimes frown on these new and bizarre concoctions. My initial response when reading the topic was, "Sheppy, we don't drink or brew novelty beers. What will we write about?" But "Novelty" is a matter of perspective, isn't it? 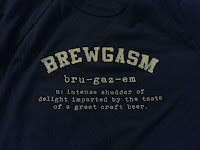 I cannot believe GABF month is already here. 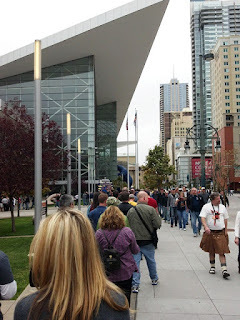 Last week, I shared on the SheppyBrew Facebook Page the article The Greenhorn’s Survival Guide to GABF. If you are going to GABF, there is some great advice in there. Read it. I think especially the ones that help you from getting to out-of-control drunk are important. Over indulging is a bad thing. Don't do it. So, now that the festival is less than 2 weeks away, I need to start making my game plan.